As promised today I bring you my Mother’s Day gift guide, a selection of non-naff gifts that I think are perfect for making your Mum feel special this Sunday. All of these gifts are under £50 which is great, because I’m sure you’d prefer to spend your money on taking Mum somewhere nice on Sunday than splashing out on a huge gift. Everyone of the gifts I’ve picked out this year are things that I would consider buying my own Mum, and if I hadn’t found her an amazing one-off, stroke-of-luck gift in Portobello Antiques Market the other day, these were the things I was thinking of picking up. 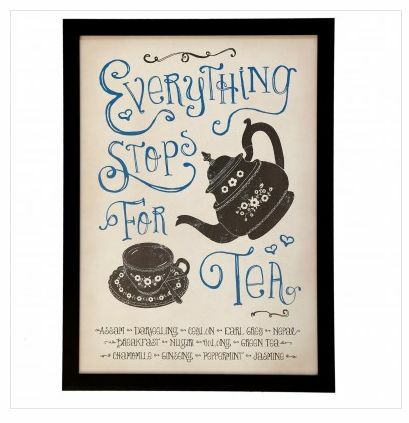 To start off, one of my favourite suggestions is this framed ‘Everything Stops For Tea’ print that has been on my radar for a while now. It’s so cute and vintage inspired and will look perfect on the kitchen wall. If your Mum is an afternoon tea lady, but really doesn’t need a new teapot/cake stand/tablecloth and all those other kitchen ‘necessities’ featured on ‘Mother’s Day Must-Buy’ lists then this is a truly fitting gift for only £14.95 from the Dotcomgiftshop. 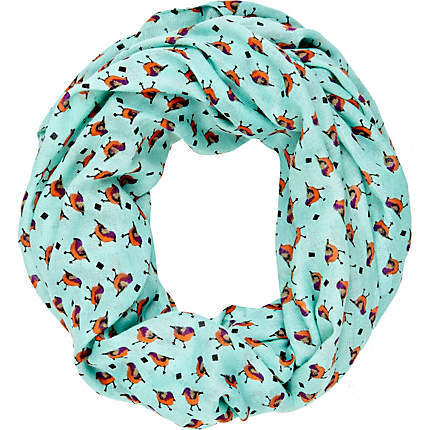 Next up is a gorgeous, suitably spring inspired River Island snood. With a cutesy bird print and in one of this season’s pastel hues, it’s just a little trend injection for your Mum’s wardrobe without being too in-your-face. It’s easy to layer over classic outfits and gives a little pop of colour to more neutral toned ensembles and it’s only £13. There’s nothing like kicking back with a genuinely good film, and as I mentioned in my March dates post, (click here to check that out) My Week With Marilyn is a fabulous film that’s perfect for a girly night in. Unlike your regular churned out chick flicks this intelligent film is one that’ll really engage the girls and for a Mum who’s as avid a Marilyn lover as mine it’s a little treat for only £10.99 on Play.com. 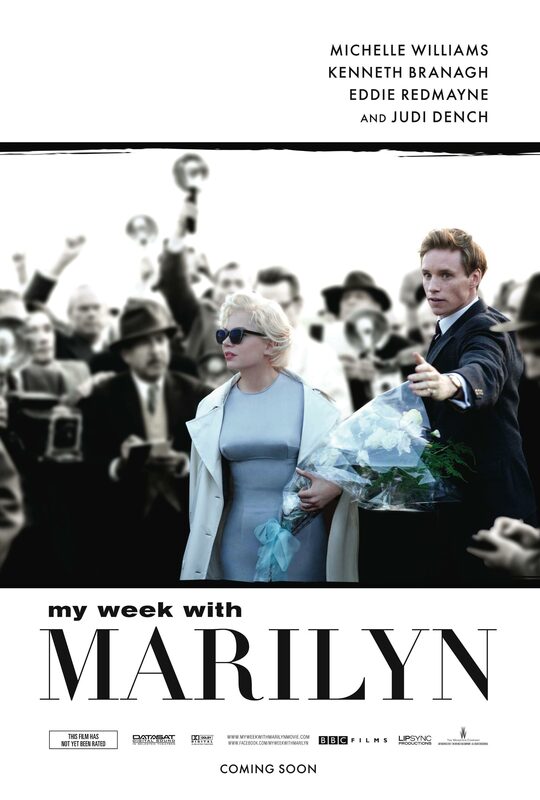 If your Mum’s not a film fan, but is a bit of a bookworm, why not get her the original My Week With Marilyn book? The book was actually gifted to me by my Mum who read and highly recommended it, so it makes a great alternative (or addition!) to the DVD. My Week With Marilyn by Colin Clark is also available on Play.com for £3.98. Next up is fragrance, which can be tricky, but if your Mum is a fan of sweet scents and/or already owns any of the DKNY perfumes, then the new Sweet Delicious collection will be right up her street. Currently only available at Debenhams at £34 each, these sweet dessert inspired scents are light and perfect for spring/summer. On visiting Debenhams to test the scents the other day, I noticed how fresh they are, particularly Tart Key Lime which is more zesty than sickly sweet. So if you’re Mum loves light, summery fragrances with a cutesy bottle to match, why not head down to Debenhams and give them a try to see what scent you think would suit her taste best. As I expected Pink Macaroon was my favourite and it’s definitely the sweetest, but again it’s refreshing rather than heady and sickly. When I visited the store the Sweet Delicious perfumes came with a whole host of freebies including full size skincare samples and a cute evening bag, so you’ll have even more goodies to wrap up for your Mum. 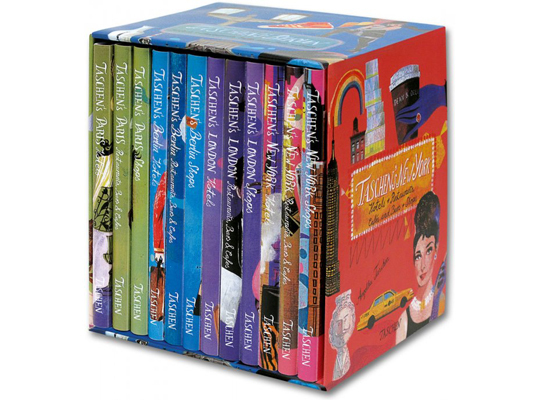 If your Mum loves her weekends away and enjoys a city break, or intends to, Taschen’s city guide box set is an amazing gift for just £23.56 from Play.com. Getting some much-needed time away is a real treat for a busy Mum and this box set might give her the encouragement she needs to take some time out to explore some of the world’s best cities. The box set consists of guides to four cities: London, Paris, New York and Berlin and gives great suggestions of shops, bars, cafes, restaurants and sight seeing opportunities around the globe. In true Taschen style the books are gorgeous and beautifully illustrated so they’ll be sure to brighten up any bookshelf too.